Post-workout recovery has different meanings for every individual. This could include activities such as ice baths, stretching, or just elevating your legs. One of the most important recovery aspects that tends to get neglected is proper nutrition after exercise. What you eat and when you eat can help your body recover quicker and replenish lost energy stores. Eating the closest thing available or what you’re craving is not always the best option but these muscle recovery foods will be sure to have you on the road to feeling great and having a stellar next ride. Not sure what you should be eating post-workout? Here are 5 great muscle recovery foods to have you feeling great on your next ride. One of the most important energy stores to replace after a ride are carbohydrates. As a general rule of thumb, you should try to begin to replace lost carbohydrates within twenty minutes of your ride. Quinoa is a great substitute to rice because it is highly nutrient dense. It has 6 grams of protein per cup and contains all 9 essential amino acids; something no other carb source can claim. The one amino acid that particularly helps sore muscles is lysine, which quinoa is high in. Quinoa provides carbohydrates, high amounts of protein, and even anti-inflammatory properties so it should be a regular “go-to” for your after workout meals. In addition to replacing carbohydrate stores, you will want to consume protein. 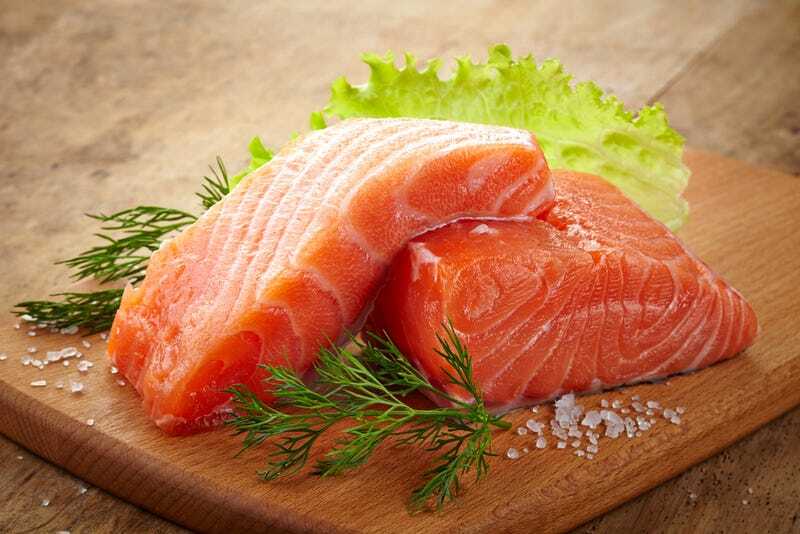 Salmon is a great choice as it contains bio-active peptides; a small protein that has anti-inflammatory properties and helps joint function. Another great benefit of salmon is the amount of omega-3’s found within it, which help with muscle soreness and reduce swelling. In addition, omega-3’s influence the metabolic response of muscles to nutrition as well as the functional response. These small green fruits sure pack a punch! With twenty-two grams of fat in just one cup, it can be used as a healthy alternative to not-so-healthy traditional toppings like mayonnaise. The fat is also monounsaturated which means it’s the healthy kind that you want more of in your diet. These healthy fats support good heart health, immune system recovery, and vitamin absorption, particularly vitamin C,E,K, and B. With all of these qualities, avocados are also great for brain health and can help improve memory and learning capabilities. Drink water after riding is a no-brainer but drinking enough is often an overlooked challenge. Ideally you don’t finish a ride super dehydrated but it does happen. It’s important that the first thing that you start to get back into you is water, be it on its own or through a recovery drink to help get other quick nutrients right after. One of the reasons that being dehydrated can hinder muscle recovery is that it reduces blood plasma volume. This in-turn makes it difficult for energy and nutrients to reach the muscle. There of course are more than 5 muscle recovery foods but if you include these foods in your diet on a regular basis after your rides, you should feel a difference later in the day as you won’t be exhausted. Additionally, you will have improved energy levels as well as less soreness the following day along with just how good you feel on your next ride. Eat right, feel great!